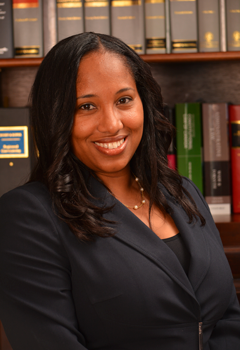 Ashanti was admitted to practice in Belize in 2004 and during this time she has garnered considerable experience in litigation and transactional matters. She has worked on several landmark constitutional and trade mark cases, complex multi-jurisdictional fraud and asset recovery cases, labour disputes, real estate disputes, commercial disputes, local and offshore corporations and real estate transactions. She also has considerable experience in banking and has represented foreign lenders in one of Belize’s largest multi-million dollar syndicated loans. Ashanti is considered a leading attorney in Belize in Fraud and Asset Recovery, and has presented at local and international conferences on Belize’s Offshore Sector and Asset Recovery in Belize. Due to her work in asset recovery, in 2013 she was invited to join ICC FraudNet, a network of attorneys who specialize in Fraud and Asset Recovery. Ashanti has argued before the Supreme Court and the Court of Appeal in Belize, and has appeared as Co-Counsel in several high profile cases before the Caribbean Court of Justice (Belize’s final appellate Court).